Home How Silver Touch is Offering Value in the Age of Digital Disruption? How Silver Touch is Offering Value in the Age of Digital Disruption? Digital transformation accompanied by data-driven insights combat to disrupt the traditional business models. Earlier, IT was a part of the business strategy, but with digitization IT is at the core of your business strategy, offering additional value to your products and services. At a time when control over your digital assets and complete visibility into your processes has become important, you need to improvise your approach, and define an approach to mitigate risks and improve the quality of your products/services. This disruption has led to a change in the way IT investments are being strategized. As a business, the time has come to adopt progressive approach to observe complete visibility into your assets and a total control over your business processes, for better outcomes. The three major reasons for digital disruption in this challenging technology environment can be attributed to automation, dematerialization and transforming value chain. It’s time for enterprises to think of diversifying their businesses and offering solutions that may transform the experience for the end user. Real-time decision making is the growing need of the hour. In case of critical business processes, it is important for businesses to identify and respond to situations in real-time, thus improving efficiency and productivity of the business. Enhancing security, while observing complete visibility over the business processes, will help in efficient asset management, and consistency through the business. At a time when the Internet of Things and Big Data are causing burgeoning effects in the technology paradise, you need to work in a more collaborated environment, which will eventually help in transforming the business processes, and enable asset utilization. Along with all this, businesses are looking for operational efficiency with reduced overhead costs, which will benefit them in the long run. Improved processes will not only bring in efficiency but also help in improving the ROI and offering better experience to the end consumer. When collaborative processes and improved IT capabilities are required to improve the offerings for the digital consumer, it is time to partner with the right technology and the right organization. 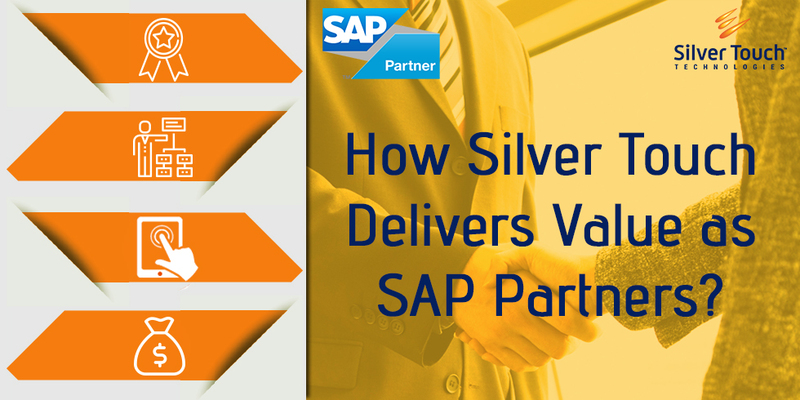 Silver Touch, an official SAP Business One partner helps resolve the digital transformation challenges with the right SAP solutions that are tailored to suit your business needs. Why should you opt for SAP in these challenging times? For one, it allows you to optimize the business performance by integrating the various aspects of your business, and reduces the wastes thus driving in more profits. As we mentioned earlier, SAP allows integration of the different departments, which means you have real-time information on what’s happening across the different departments in a single system. Earlier businesses used to operate in silos, but now they are collaborative, which makes them deliver more value. Production planning, and resource optimization is easier with SAP systems, and managing order to cash processes has become easier. Silver Touch is highly focused on the high value industries to deliver value, and improve end user experience. We are one among the top 10 SAP consultants. We are working towards changing the technology landscape by taking a holistic view of the enterprises, and offering them solutions that can take the customer satisfaction to another level altogether. We have experts who understand your business requirements and then suggest appropriate solutions. We aim to change the way conventional businesses performed with SAP solutions. If you are looking for solutions that can change the way you operate, and increase your ROI, connect with our SAP team. We are known for excellent implementation, and thorough support. Contact us on +44 – (0) 203-872-5140 or e-mail at info@silvertouchtech.co.uk for free SAP Demo.